When my children were younger, we had so much more time. Now our days are largely occupied by schoolwork, plus I also have a young infant to take care of. I have several children, and they don't always seem to get a chance to have one-on-one time together. When they were younger I used schedules a lot to help us make better use of our time, but with our lives being so unpredictable for awhile, we need a new routine. When they were younger and didn't study so many different subjects, I scheduled in special time for them to spend together each day. 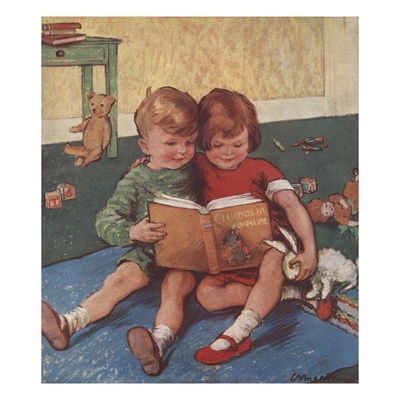 Each sibling had a half-hour block of time to spend with just one other sibling. They looked forward to that time so much. They would pick a special activity to do together. Now our lives have changed, but I still want them to have this special time to grow their relationships. This also gives them a chance to not all be together at once, but share in an activity with just one other sibling and enjoy their time playing together and talking. The older children don't have a lot of free time available in their days because they do more schoolwork now. But, I still managed to schedule in a half-hour block of time each day, and my children will rotate who they have their special time with throughout the week. They are very excited about it, and I am glad. Some ideas for activities to do together include playing a board game, legos, coloring, drawing, playing with their baby dolls, and playing with play-dough or modeling clay. I hope this helps some of you with ideas of how to grow sibling relationships. I wish my mother would have put sibling relationship a priority in our family, we are so far apart and can't really relate to one-another. But I try to take time for our daughter to develop the kind of relationship I wish I had. Thanks for inspiring me to press on and continue doing this. I'm sure your daughters will appreciate that! God bless you, Renee. I am so eager to begin relating with my daughter that I have already started "homeschooling" her. She's 8 months old! I find it a blessing that despite challenging moments that are currently happening in your life, you still try to find ways for your siblings to work together as friends. I admire your determination and dedication. You are a good mother Lady Violet. I didn't know you were caring for a young infant. I will keep you in my thoughts dear friend. Dear Lady Violet, how lovely for your children to have these special times in pairs...what a good idea! My kids are grown up, I had a boy and a girl close in age ~ they argued quite a bit but played together so well too and are loyal and loving to one another now. I often would nearly tear my hair out over their fighting, but they loved each other's company nonetheless!